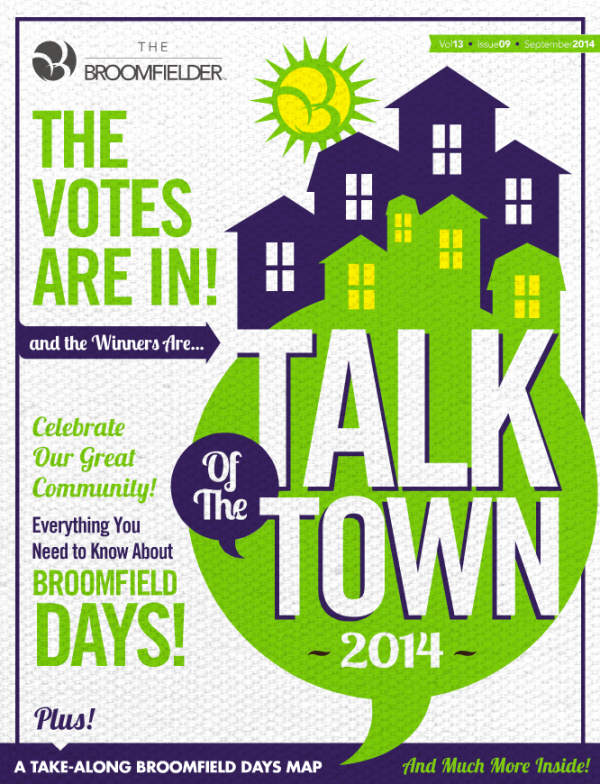 We're thrilled to share that Studio Z Dental was voted by readers as the Talk of the Town's Best Dentist in Broomfielder Magazine! Studio Z Dental is known for excellence in both general dentistry and reconstructive/aesthetic dentistry. In addition, they are committed to providing the best in holistic dentistry and protecting both patients and the environment by using only the safest, most natural products. By utilizing cutting edge technology ensuring a mercury free environment and using non-toxic cleaning and sterilization methods, all while adhering to strict energy efficiency, recycling, and water conservation standards, Studio Z Dental blew away the competition and wowed our voters." View the full current issue of the Broomfielder Magazine here. The Broomfielder Magazine is a "glossy, full-color magazine with community features, business profiles, recipes, human interest stories and of course, valuable offers from local advertisers." It is the only monthly community publication in Broomfield, CO.